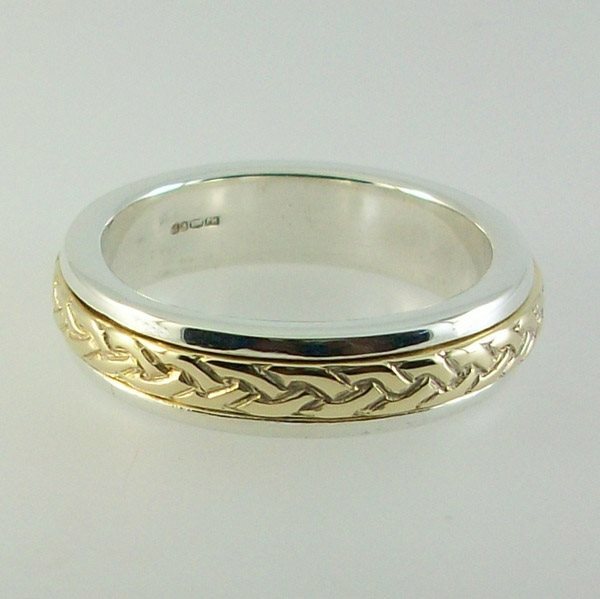 Celtic wedding ring 6mm knot work that reminds us of our connections and family through out the world. Designed by John M Hart. we had these made for our Wedding in South Uist on 31st March 2012. They are lovely. We so inspired a friend that she also got an engagement ring made by the jewellers. Highly recommended for that special gift.